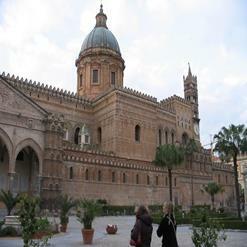 Located near Palazzo dei Normanni, San Giovanni degli Eremiti is a church in the city of Palermo. Origins of the church date back to 6th century where later it was converted into a mosque. The church is recognized for its magnificent architecture with red domes, though it was re-constructed in 12th century.